TSI Fabrication offers a variety of custom equipment. We at TSI Fabrication stand behind our quality products. In order to assist you in running a successful operation, we constantly visit you at your office and field locations to gather customer feedback to continuously improve our products. Our goal is to manufacture a quality product that is safe and user-friendly. 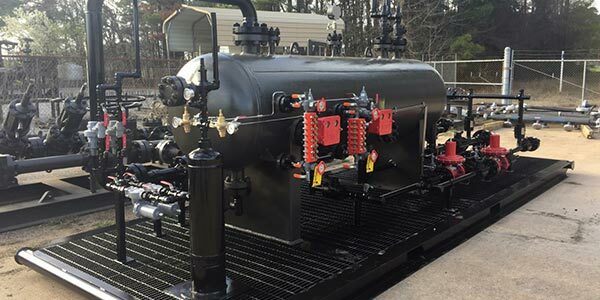 Our engineers have over twenty years experience in custom fabrication and welding, certified through the American Welding Society, the National Board of Boilers and Pressure Inspectors, and the American Society of Mechanical Engineers, with extensive certifications through NDT training and testing centers. 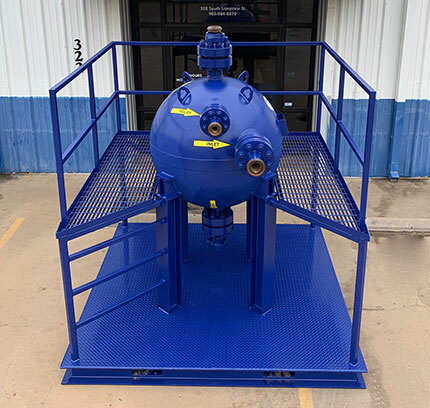 We design various skids for many different oilfield equipment, from 2"x2" manifolds, to trash catchers, trailers and flare stacks of different sizes. 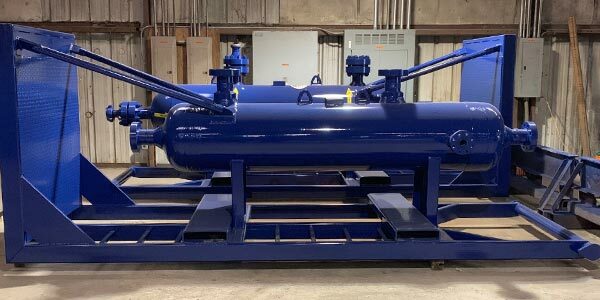 As an ASME licensed shop TSI Fabrication is capable of fulfilling client's three phase separator system needs, and can provide a turnkey solution from design, engineering calculations, 3D modeling, to fabrication. TSI Fabrication's Standard Sand Trap is the most commonly utilized sand trap in the field. Solids removal is accomplished by the gravitational method and centrifugal force. Monorail trailer units are designed to transport piping and flow control products such as valves, pipe fitting and manifolds. 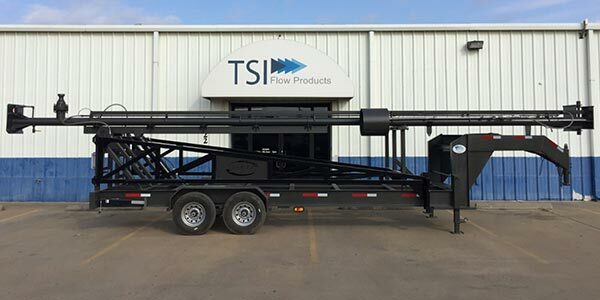 TSI Fabrication offers trailers specifically designed for oil and gas applications. 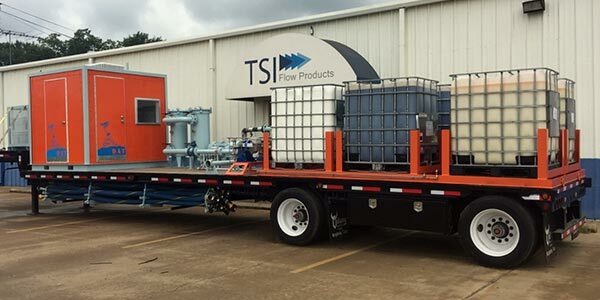 TSI offers utility, pipe, monorail and custom trailers. TSI has manufacturing and design expertise to provide trailer that fit your exact application. 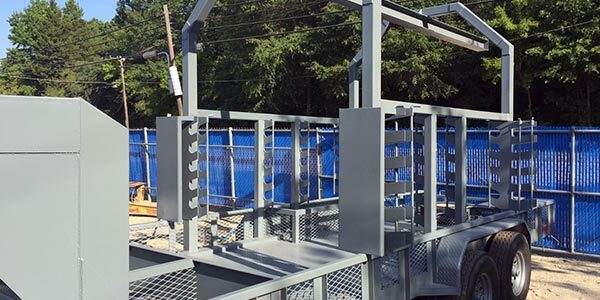 TSI Fabrication builds structures such as workbenches, pipe racks, support skids, API valve repair platforms. 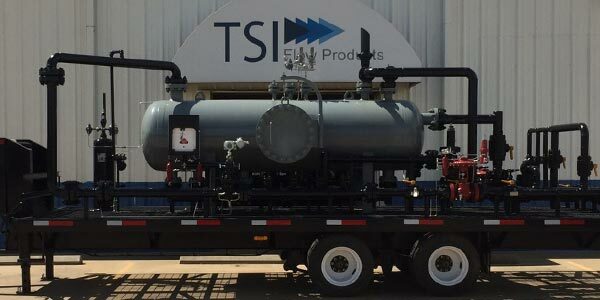 TSI offers custom frames and skids to install your choke manifolds, drilling pressure control manifolds, frack stimulation manifolds and more. TSI Fabrication manufactures flare stacks typically used during the frack flow back, cleanup and other well servicing operations on land. Flare stack’s function is to temporarily combust natural gas, vented hydrocarbons or sour gas during initial phase of production operations. See some examples of past projects. Placing ourselves in your shoes in order to design products that fit for your application is what we do best. For your next product solutions, rely on TSI to deliver. Call 903-984-2870 or fill out the form below.